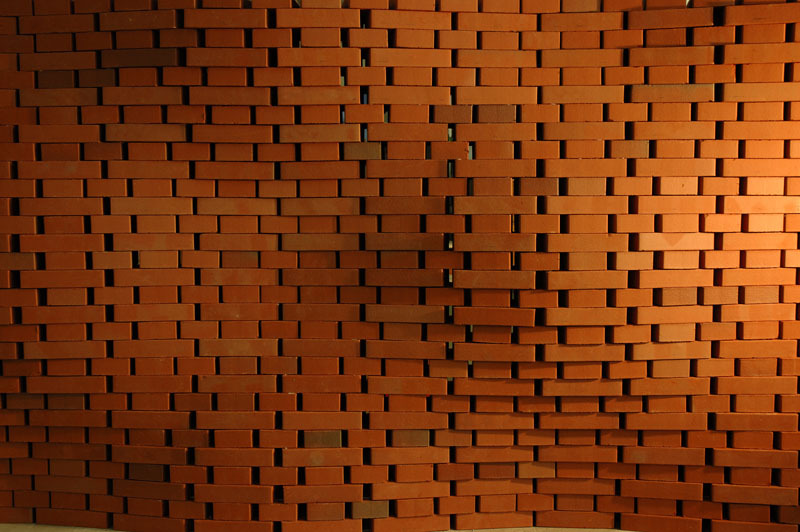 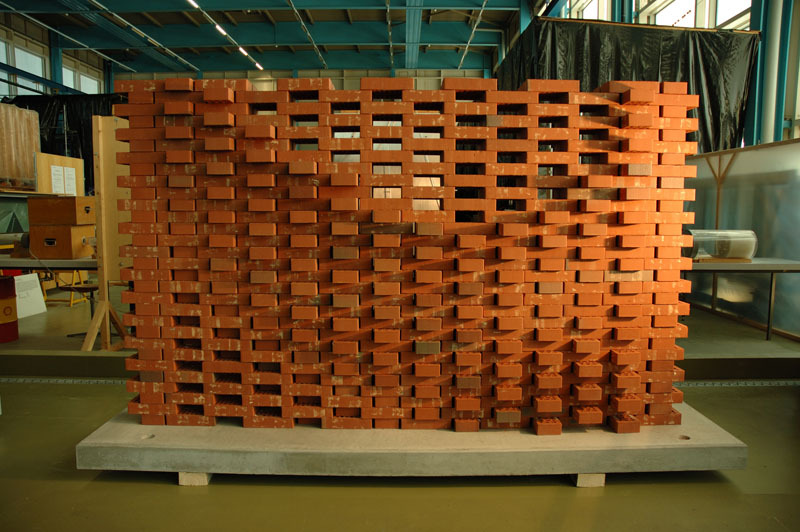 If the basic manufacturing conditions of architecture shift from manual work to digital fabrication, what design potential is there for one of the oldest and most widespread architectural elements -- the brick? 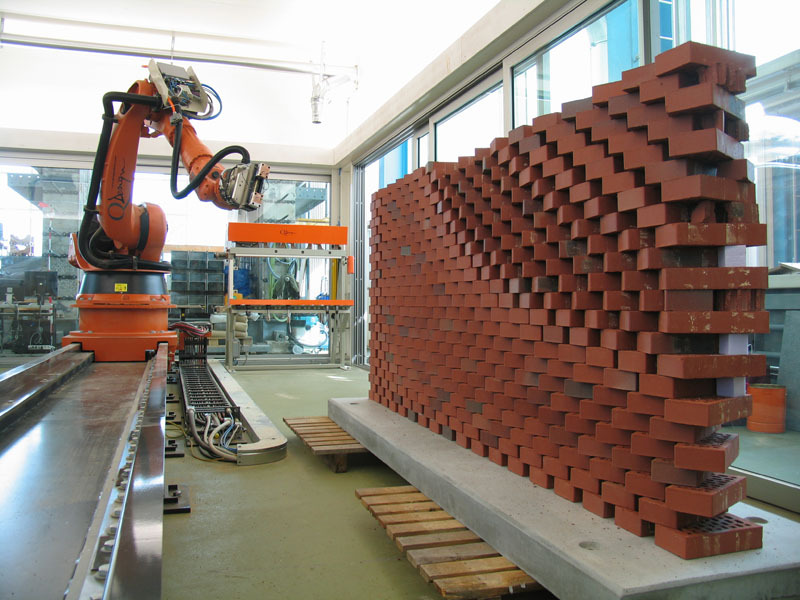 Students investigated this question in a four-week workshop, designing brick walls to be fabricated by an industrial robot. 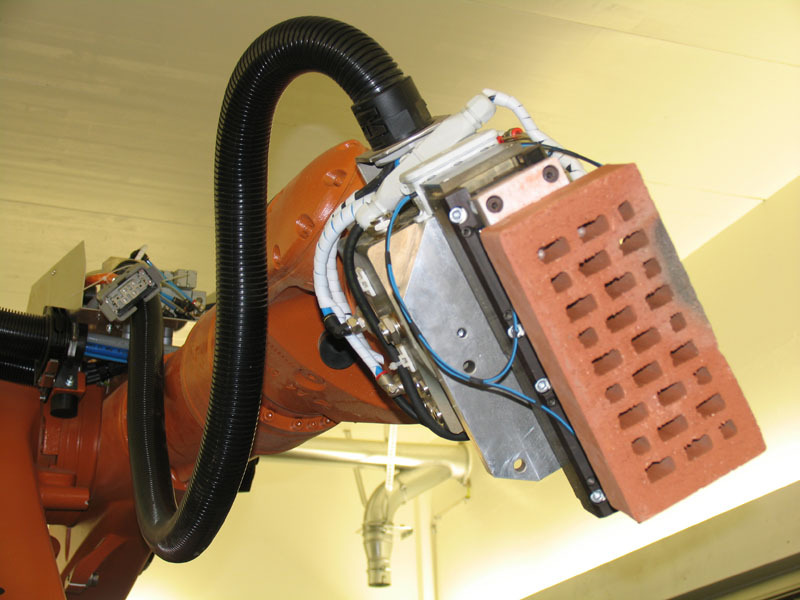 Unlike a mason, the robot has the ability to position each individual brick in a different way without optical reference or measurement, i.e. 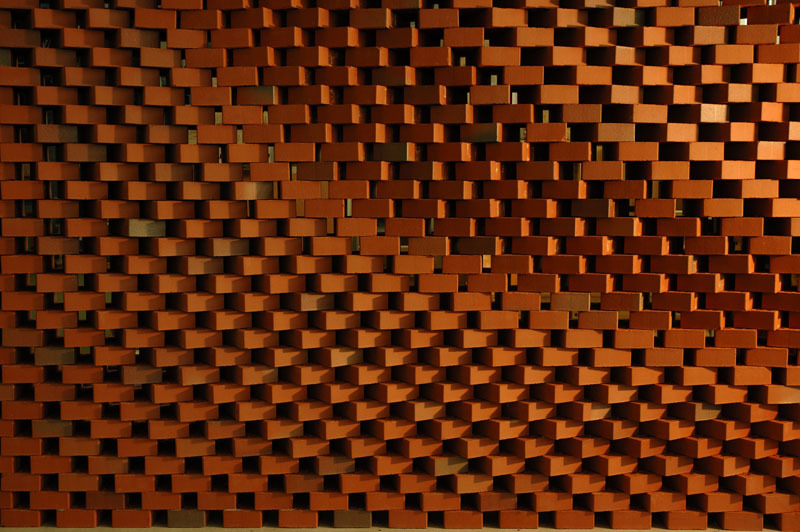 without extra effort. 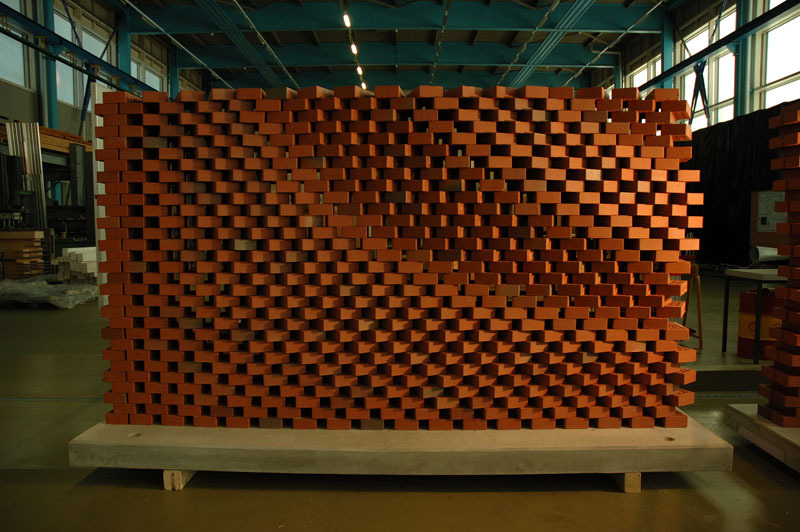 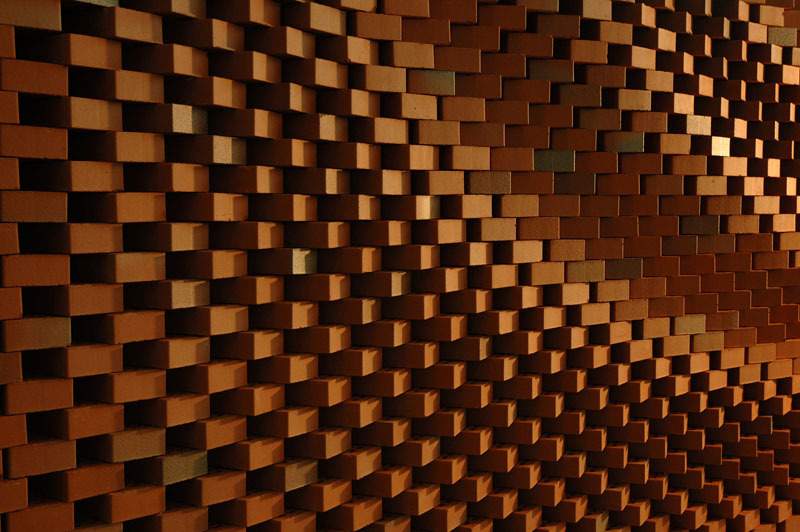 To exploit this potential, the students developed algorithmic design tools that informed the bricks of their spatial disposition according to procedural logics. 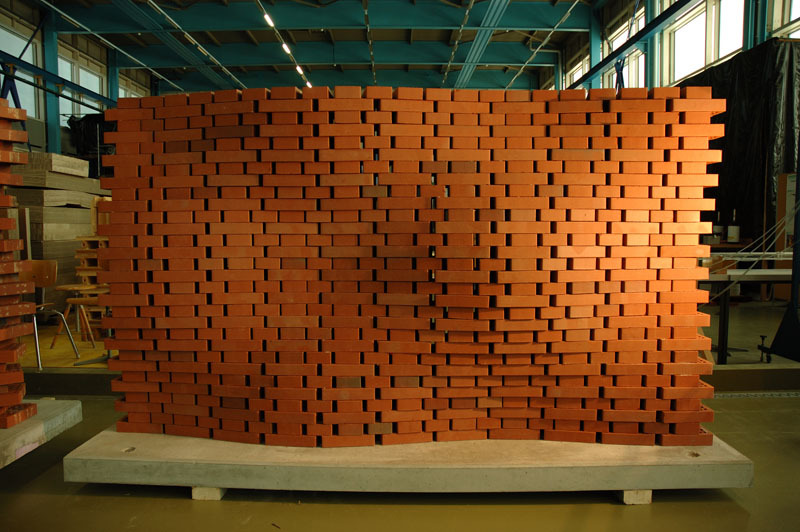 Positioning this way it was possible to draft a brick wall in which each of over 400 bricks took up a specific position and rotation in space. 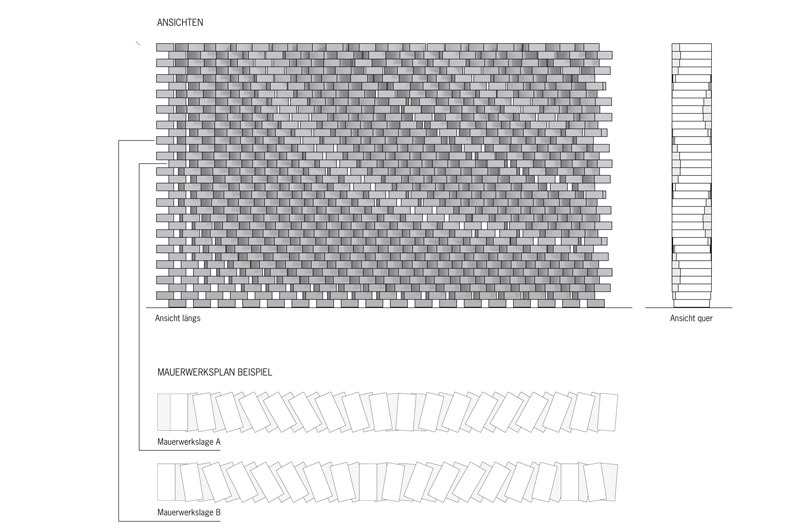 The students defined not the geometry of the wall, but the constructive logic according to which the material was organised in a particular temporal order, and which thus produced an architectonic form.